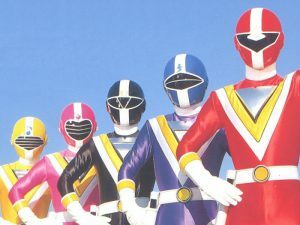 Japan has enjoyed for 20 years what America has only discovered in the last two: the super sentai television series (sentai means battle team or task force.) These live-action superhero epics run the gamut from serious drama to slapstick comedy, always packaged with a healthy dose of intense action and (sometimes) awe-inspiring special effects. 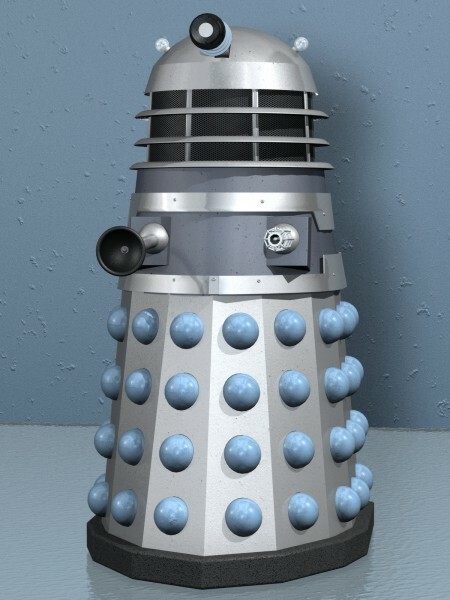 Most of the globally successful Japanese pop culture characters were made in Japan. Every year, Toei Co. produces a brand new 50-episode serial; each ½-hour weekly installment tells its own tale while advancing the ongoing narrative to its final conclusion. And while the stories, characters and mythology will change with each new series, the basic concept always remains the same: Earth is being threatened by a malevolent force and humanity’s only hope lies with a team of warriors who attain their super powers through fantastic metamorphosis. Each team usually consists of a leader, a rival, a strong fighter, a spirited youth and a gentle female (although females may also fill other team roles.) And, in true Japanese fashion, every team can rely on their trusty giant robot when all else fails. 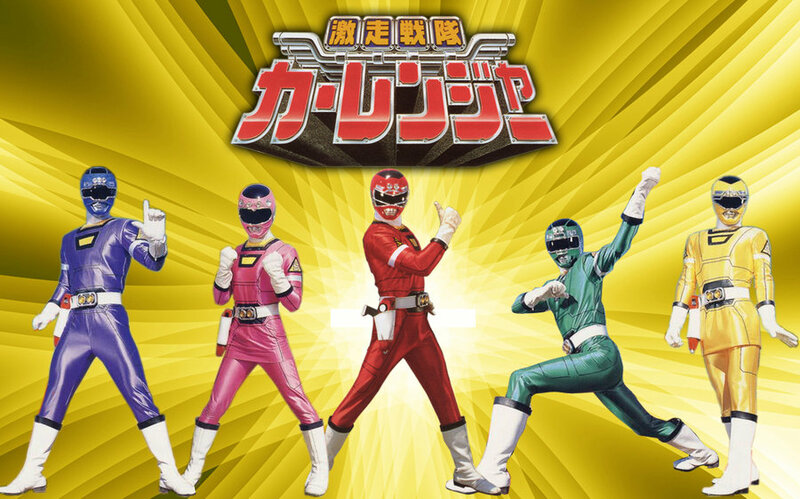 Without being preachy or boring, every sentai series underlines two fundamental principles. 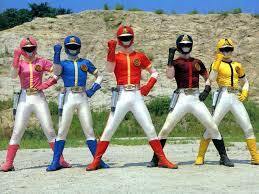 First, sentai teams are usually composed of ordinary people, but it is their positive spirit that sets them apart. >From all walks of life, anyone can be a hero. Secondly, although each warrior possesses special powers, everyone is considered equal. In the end, it is teamwork that saves the day. Also prevalent in these programs is the strong student-teacher relationship between the warriors and their mentor/team commander. Lastly, even the most serious sentai series has a sense of humor, citing many inside jokes, even in the naming of its characters. For example, the ranger moniker is, in actuality, from the Japanese renja or rensha, which literally translates to team member. For any further information, you can always contact us. JACKER Dengeki Tai (JAKQ Power Attack Team) – The super cyborg warriors of JAKQ battle the international criminal organization Crime, led by arch-villain Ironclaw. Strong in the four great energies, team members Spade Ace, Clover King, Daiya Jack (Diamond Jack)and Heart Queen possess the powers of atomic, electric, magnetic and gravitational force respectively. Team leader Big One possesses all four of these powerful energies. The team’s costume design motif is symbolic of the highest trump card combination possible:Jack, Ace, King, Queen. BATTLE FEVER J – To combat the secret society of Egos, National Defense Ministry’s General Kurama assembles five warriors as the Battle Fever team. Team members Battle Japan, Battle France, Battle Kenya, Battle Cossack (Russia) and Miss America incorporate their respective country’s dance actions in their fighting techniques. (America is represented by disco!) This series marked the first appearance of a giant robot mecha in a sentai television program, the Battle Fever Robo, launched from the even larger flying battleship, the Battle Shark. Denshi Sentai DENZIMAN (Electronic Team Electroman) – Three thousand years ago, an army of trans-dimensional marauders, the Vader Royal Family, annihilated the peaceful planet of Denzi. Now, Vader’s evil Queen Hedorian, loathing all things beautiful, has plans to pollute and conquer the Earth! (I guess she has never been to North Jersey.) I-C, robot dog from the planet Denzi, selects a team of five humans who, by means of Denzi’s super science, become the warriors of Denziman. With the aid of their giant robot, the Dai Den Jin (Great Electronic God), the Denziman team battles Vader’s monsters for the salvation of Earth. Actress Machiko Soga, who portrayed Queen Hedorian (in Japanese, hedoro means sludge), has appeared as the definitive lead villainess in many a Toei television series. Soga is most familiar to American fans as the evil witch Bandora in Dinosaur Team Zyuranger, a.k.a. Rita Repulsa in the Mighty Morphin’ Power Rangers. 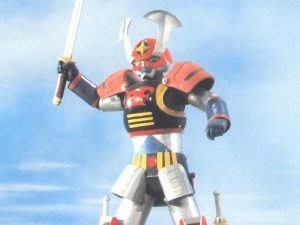 Taiyo Sentai SUN VULCAN (Solar Corps Sun Vulcan) – Commander Arashiyama of the Earth Peace Defense Force organizes the Sun Vulcan team to fight the mechanical empire of Black Magma. Corps members Vul-Eagle, Vul-Shark and Vul-Panther command the powers of air, sea and land respectively, as well as the gigantic Sun Vulcan Robo in their battles against Black Magma’s kikai seimeitai (mechanical lifeforms.) 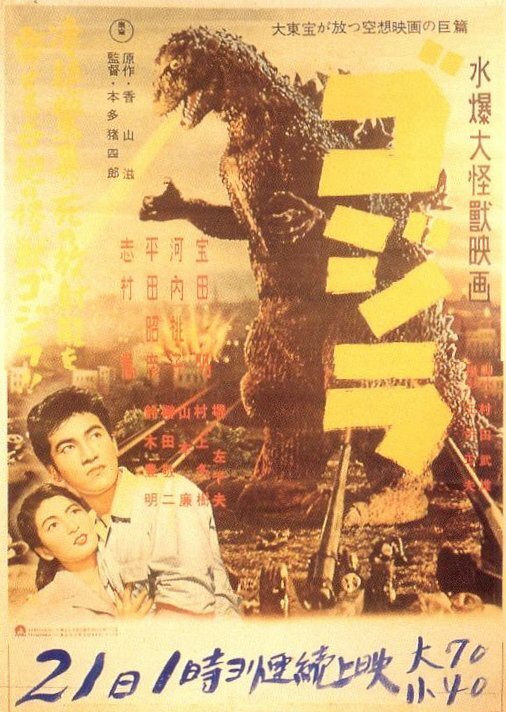 Actor Shin Kishida, who portrayed Commander Arashiyama, also starred as Interpol agent Namara in Godzilla vs. MechaGodzilla (1974). Machiko Soga reprises her role as Queen Hedorian, reborn by means of an artificial heart to once again wreak havoc against mankind. Dai Sentai GOGGLE FIVE (Great Task Force Goggle V) – Future Science Research Institute’s Professor Hongo selects five warriors to defend the earth from the dark science empire of Deathdark. Aided by the Institute’s computer kids and equipped with several hi-tech battle machines that can combine to form the obligatory giant Goggle Robo, the Goggle V team clashes with Deathdark’s army of gosei kaiju (synthetic monsters) and ultimately confronts the empire’s supreme evil ruler Taboo. Kagaku Sentai DYNAMAN (Science Task Force Dynaman) – A meteor’s impact on ancient Earth sparked the evolution of the Jashinka empire, an underground race of beings possessing tail-like appendages. The empire’s ruling hierarchy is determined by the greatest number of tails owned, the maximum held by emperor Aton who sports nine. When Jashinka schemes to conquer Earth’s surface populace, Prof. Kyutaro Yumeno gathers five young scientists to fight back as Dynaman. They assemble at Yumeno Invention Center, which also serves as a children’s playground, thus concealing the location’s true purpose. The team commands three battle machines that, when launched from the enormous Dyna Jupiter mothership, can combine to form the giant Dyna Robo in their constant struggle against the empire’s shinka-ju (evolutionary monsters.) This series gained notoriety in the late ’80’s when Night Flight aired several episodes, albeit re-dubbed in nonsensical and irreverent fashion. Chodenshi BIOMAN (Super Electron Bioman) – When the new mechanical empire of Gear plots the conquest of Earth, five warriors empowered with bio-particle energy strike back. Aided by Peebo, mechanical guardian from the planet Bio, and the giant Bio Robo, the team battles the evil genius of Gear’s big boss, the mecha-human Doctorman. 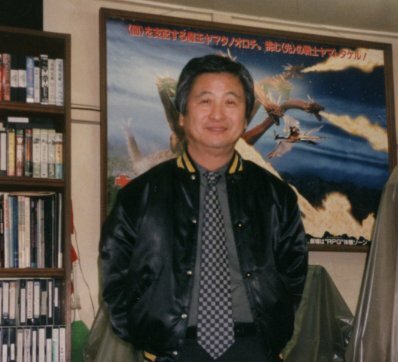 Early in the series, photographer Mika Koizumi (Bioman team member Yellow Four) is killed by Gear forces and replaced by tough fighter June Yabuki. 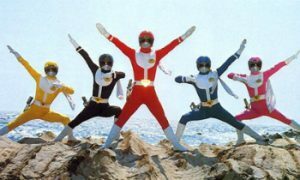 Choshinsei FLASHMAN (Super New Star Flashman) – Five children, kidnapped by space aliens and taken from Earth, are rescued by benevolent beings from the planet Flash. While raised by their adoptive parents, the children eventually inherit the special powers inherent to their foster planet. Now, the five grown warriors return to Earth and, with the help of robot ally Mag, battle the reconstructive experimention empire of Mesu (mesu means scalpel.) 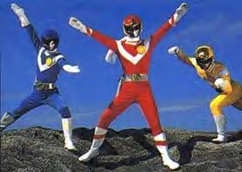 This series was the first to feature no less than three giant robo warriors, as Toei began to expand this popular motif. 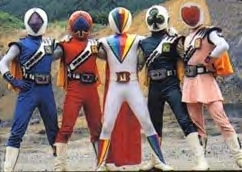 Hikari Sentai MASKMAN (Aura Task Force Maskman) – When the underground empire Choob (in Japanese, chubu means center) attacks the surface world, five young people are gathered by Commander Sugata to defend mankind against the onslaught. The warriors are taught to release the powerful aura energy that is hidden within the body and become the invincible team of Maskman. 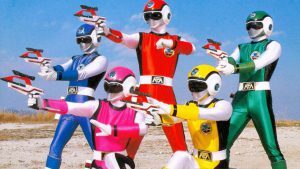 Chozyu Sentai LIVEMAN (Super Beast Team Liveman) – The armament intelligence force Balt attacks Earth from space, utilizing super-intelligence technology and an army of zuno-ju (intelligence monsters.) Five young scientists from Science Academia, two of whom’s younger siblings were killed by Balt’s aggression, join forces and become Liveman. Director of Science Academia and team advocate Prof. Hoshi invents an squadron of giant battle machines including the Land Lion, the first appearance of the now-popular animal-styled mecha in a sentai series. 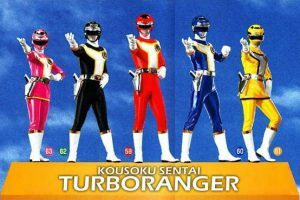 Kosoku Sentai TURBORANGER (High Speed Squadron Turboranger) – The polluted atmosphere of present-day Earth triggers the rebirth of the Boma Hyakuzoku (Violent Evil Generation) who once again endeavor to annihilate mankind. Five high school students are given the powers of super speed by Shiron, surviving descendant of the Yusei Zoku (Fairy Race), which defeated the Violent Evil Generation 20,000 years ago. 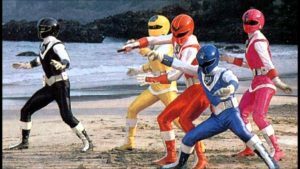 With the help of a plethora of special weapons, machines and giant robots invented by team consort Professor Dazai, the young warriors fight as the unified force of Turboranger. Even the team’s secret base, when combined with the giant Super Turbo Robo, becomes an invincible battle mecha, the Turbobuilder! 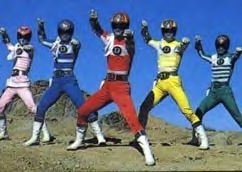 Chikyu Sentai FIVEMAN (Earth Task Force Fiveman) – As the sentai series’ first family team, Fiveman are the grown children of the Hoshikawa family. While exploring the planet Shidon, the family was attacked by the galactic imperial forces of Zone, forcing Prof. and Mrs. Hoshikawa to risk their lives in procuring their young children’s safety. Aided by their adoptive support robot Arthur G-6, the grown warriors now fight against Zone’s present threat to humanity on Earth. The team attains their super strength, increased to 5 times greater than normal, by means of their fivetector power-up body armor. Chojin Sentai JETMAN (Birdman Corps Jetman) – Sky Force’s J-Project is the top-secret military development of the Birdnic Wave, enabling subjects exposed to this energy the strength 100 times greater than normal. However, during the procedure aboard space station Earth Ship to transform Sky Force officer Ryu Tendo into a super soldier, the dimensional war delegation Byram materializes in Earth’s orbit, commencing their plans to conquer the planet. As Earth Ship is destroyed, the Birdnic Wave energy is sent awry through Earth’s atmosphere, eventually striking four unlikely candidates on Earth (a gentle farmer, a wealthy heiress, a lively school girl and a lone-wolf jazz musician) and bestowing them with super powers. Having survived Byram’s initial attack, J-Project director Commander Odagiri and Ryu (now Jetman leader Red Hawk) must assemble the misfit team into a cohesive fighting force to defend against Byram and their jikenju. 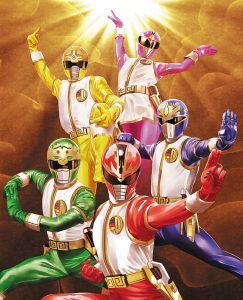 Kyoryu Sentai ZYURANGER (Dinosaur Team Beast Ranger) – When the mysterious planet Nemesis drifts into Earth’s solar system, astronauts exploring its uncharted terrain accidentally free the evil witch Bandora from her centuries-old imprisonment to begin anew her reign of terror against mankind. 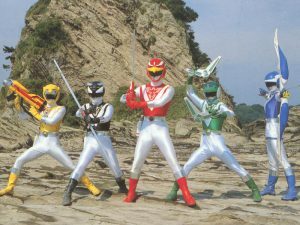 The white demon master Barza, having secretly kept watch over Earth for centuries, becomes aware of the imminent danger and awakens the five warriors of the ancient dinosaur tribes from their 170 million-year sleep to battle Bandora and her Dora-monsters as the Zyuranger team. (In Japanese, ju or zyu means beast.) Machiko Soga epitomizes the ultimate in Toei-styled evil, providing just the right combination of humor and ruthlessness in her portrayal of Bandora. 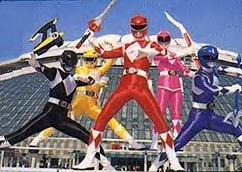 This series saw enormous success when imported to America in 1993 as the Mighty Morphin’ Power Rangers. 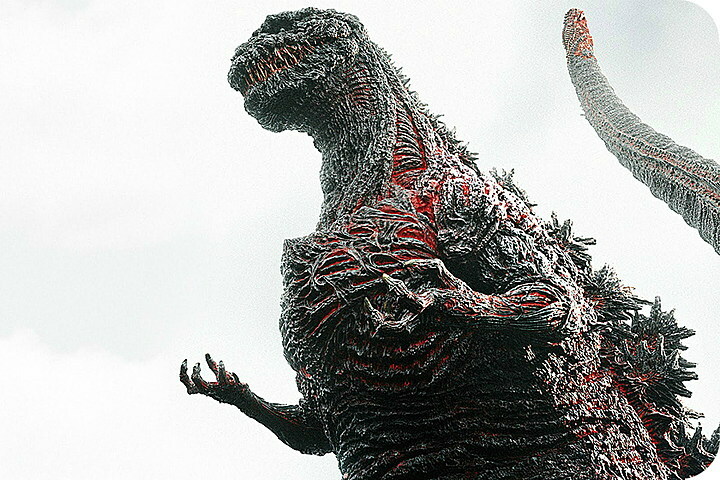 Although new footage of American actors was inserted to make the series palatable for U.S. audiences, the overwhelming popularity was due to the distinctively-Japanese action sequences featuring dinosaur-styled mecha and giant robo warriors. 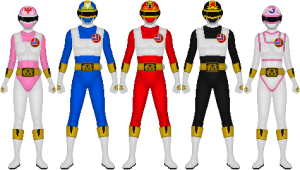 Gosei Sentai DAIRANGER (Five Star Soldiers Era Ranger) – 6,000 years ago, the evil Goma tribe battled the peaceful civilization of Daos in a war by which both sides perished. Anticipating the Goma empire’s present-day rebirth, Master Kaku, skilled in the spiritual arts, gathers 5 young people, all descendants of ancient Daos. 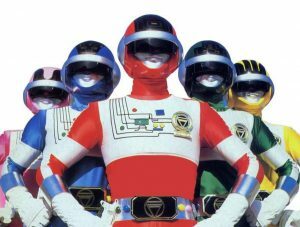 Kaku teaches the five warriors to master the spiritual energy within themselves and stand against the impending onslaught as Dairanger. (Dai refers to a time or era, the passing of spiritual power from one generation to the next.) A 10-year old boy named Ko joins forces with the team, after struggling with Goma to gain control of his own inner powers, and becomes Kibaranger (Fangranger) a.k.a. 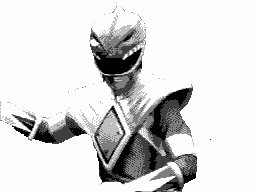 the White Ranger on the Mighty Morphin’ Power Rangers. A seventh member is also found in Kameo (in Japanese, kame means turtle,) a young man who transforms into the titanic turtle mecha Dai Mugen (Great Infinite) a.k.a. Tor the Shuttlezord on Power Rangers. Ninja Sentai KAKURANGER (Ninja Force Hidden Ranger) – 400 years ago, five ninjas imprisoned all the world’s demonic spirits inside a sacred vestry. Now, mankind’s immorality and corruption have weakened the confining seal, releasing the evil supernatural energy back into the world. 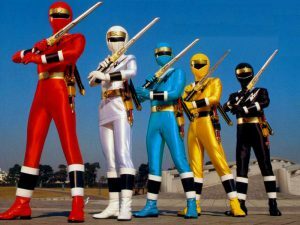 A group of five young warriors, utilizing the powerful arts of the ancient ninjas, become Kakuranger and fight to stop the phantasmal monsters that terrorize civilization. (In Japanese, kaku means concealed or hidden, referring the ninja’s ability to remain concealed and confuse their enemies.) In the final battle for peace, the team must once again seal the evil deity DaiMaOh (Great Demon King) behind the sacred door. 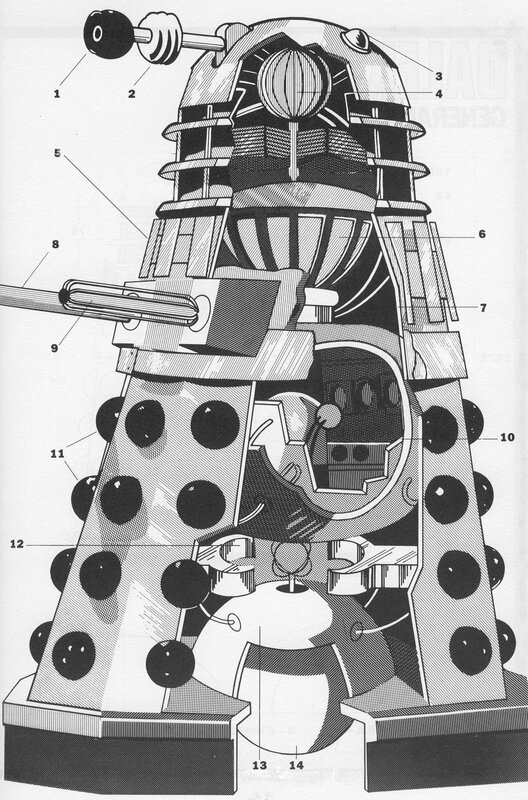 This series featured an unprecedented twenty giant robo mecha, physical incarnations of ancient beast gods called upon by the team in times of crisis. Choriki Sentai OHRANGER (Super Power Corps King Ranger) – In 1999, the mechanical empire Baranoia begins an invasion of Earth from space, enacting destructive assault by achine-ju (machine monsters) and takonpas (compact fighters that sprout legs and walk on land.) (In Japanese, tako means octopus.) 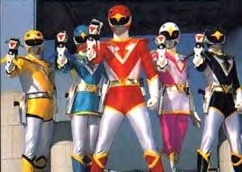 The five courageous members of U.A.O.H., a special division of the United Air Force, battle against this aggression as the Ohranger team. (Oh means king, referring to the corps’ elite standing within the U.A. organization.) The warriors gain their heightened abilities from the advanced technology of the mysterious 600 million-year-old monuments buried deep beneath their secret base in the southern Alps. From these ancient structures, Earth’s energy is channeled through the great pyramid creating powerful TH energy (tetrahedral energy), the source of the team’s super strength.